Gaaaah! “Bleeding Cross” sets the pace right from the start. Riffs galore and a fine solo go straight for the throat, lovely. The grooves are always there, they may hail from California but the tag Bay Area is inevitable. Not least with a voice so close to Chuck Billy and with touches of James Hetfield in the days of old. The refrains are there, but not emphasized enough at times. Remember what made EXODUS, TESTAMENT et al big… The sing-along friendly “March of the Wicked” cures that somewhat but the best is yet to come. “Rise of the Undead” might lean a bit in the death direction, but its sheer punch has me headbanging. The same goes for the oddly refrain-less “The Devil´s Mark”, that is pressure to the max. 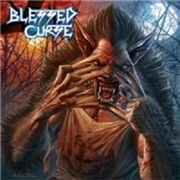 The ending of “Eternal Hate/Blessed Curse” and former EP title track “Burn the Beast” leaves me wanting more. Unfortunately they included the patchy “Something Evil” and the somewhat pointless “Feasting Witch”, otherwise the maximum mark would have been awarded.